The American Council of Engineering Companies (ACEC) Maryland section honored the MD 404 design-build team of JMT, Wallace Montgomery, and Rummel, Klepper & Kahl, with the Grand Award, the organization’s highest honor. The award was presented at the annual ACEC MD awards banquet on Feb. 21. 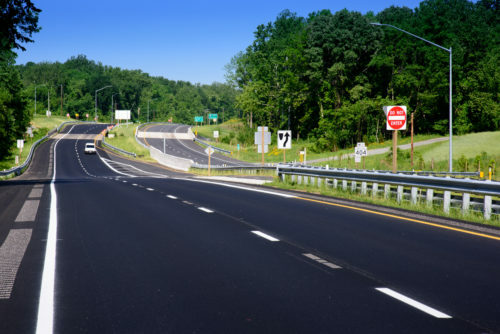 The $105-million MD 404 project dualized and widened 9.2 miles of two-lane road that extended across portions of three Maryland Eastern Shore counties, resulting in a four-lane divided highway, with a 34-foot median and 10-foot-wide shoulders. The project was delivered within 20 months through the design-build method. JMT designed the western segment of the new highway and led geotechnical design for the entire length of the project. Our staff also provided roadway, maintenance of traffic, and phasing design; structure design; hydraulic design; stormwater management, drainage, and erosion and sediment control design; wetland mitigation design; landscape architecture design; and construction phase services.